There is no question that the iPad is a hot commodity – everyone knows that. But just how “hot” is the iPad? 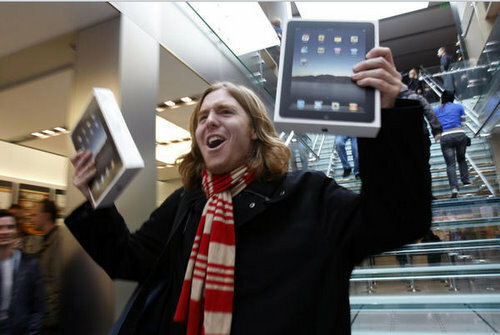 How about this – the iPad is now the all time fastest selling electronics device ever. CNBC’s Fast Money blog reported on a Bernstein Research report that said the iPad is selling at a rate of approximately 4.5 million units per quarter. During the first 80 days of the iPad being on the market, 3 million units sold. According to the report, “this sales rate is blowing past the 1 million units the iPhone sold in its first quarter and the 350,000 units in the first year of the DVD player.” And just this week, it was announced that the iPad will be expanding its distribution network in the United States to now include Target. Best Buy is already selling the iPad.